Email me to receive my new wholesale catalog or pdf version that came out January 2019 for the latest cards, art prints, posters, tea towels and magnets. My wholesale work is represented by Anne McGilvray & Company . is shown at their Minneapolis showroom at the Minneapolis Mart. Check the showroom schedule for show dates or email me to see how to connect with my reps.
​My latest illustrations are available wholesale and will be slowly released in my Etsy retail shop as well. 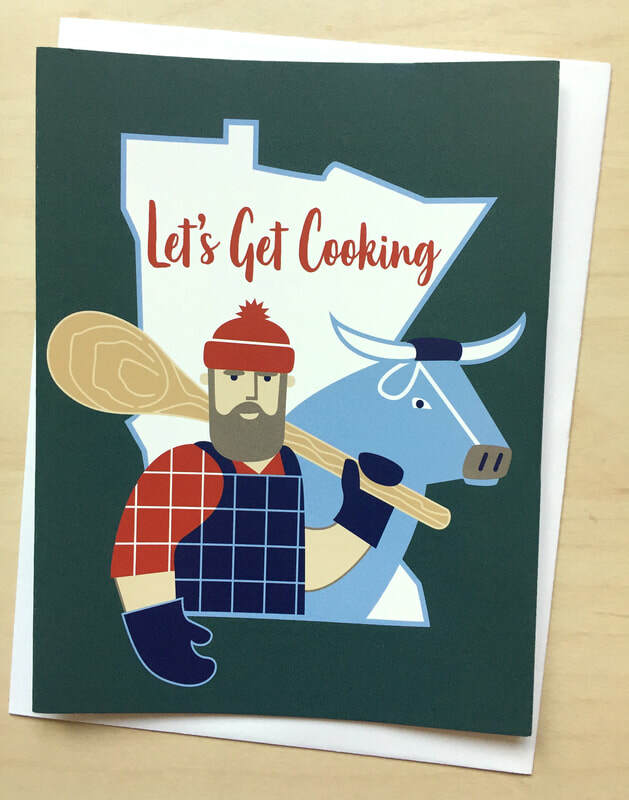 This one features my favorite duo, Paul Bunyan and Babe, getting ready to cook. This is available as tea towels, prints, and magnets.